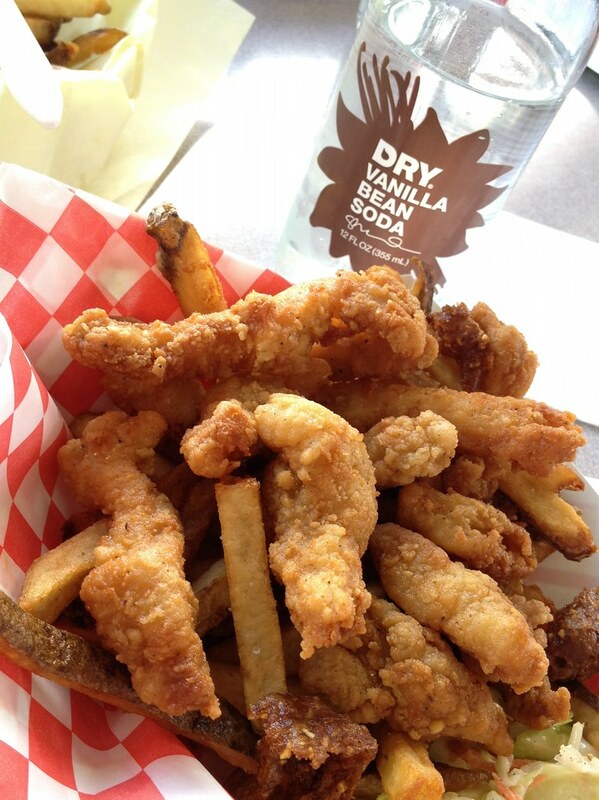 While on my annual Vashon Island retreat, I stopped by locally owned fast food restaurant Zoomies to fulfill my once-a-year quota for fried clams. 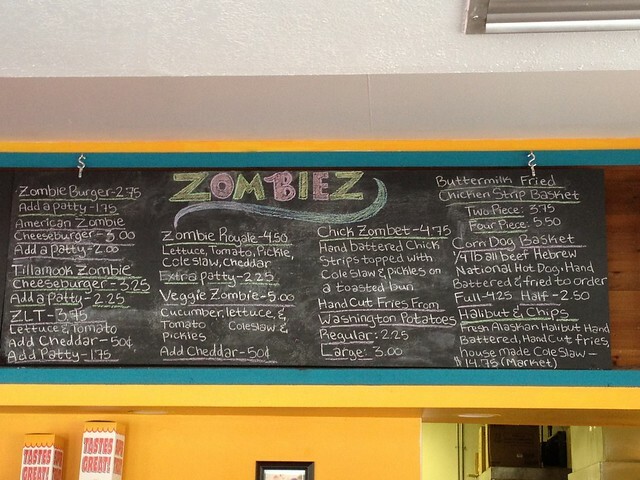 I was surprised to find out that Zoomies had closed and another burger joint had been “resurrected” in its place, a restaurant called Zombiez. 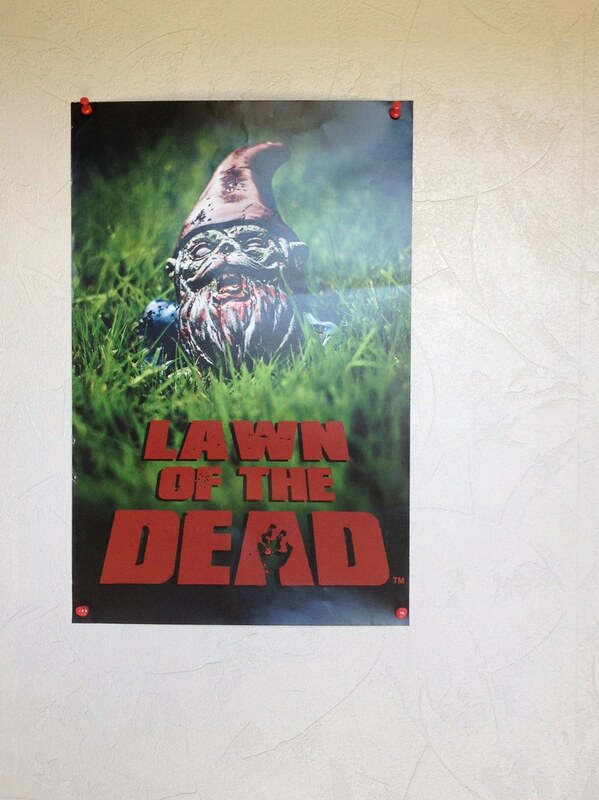 Yes, Zoomies is now Zombiez and it’s lightly zombie-themed (nothing gory). 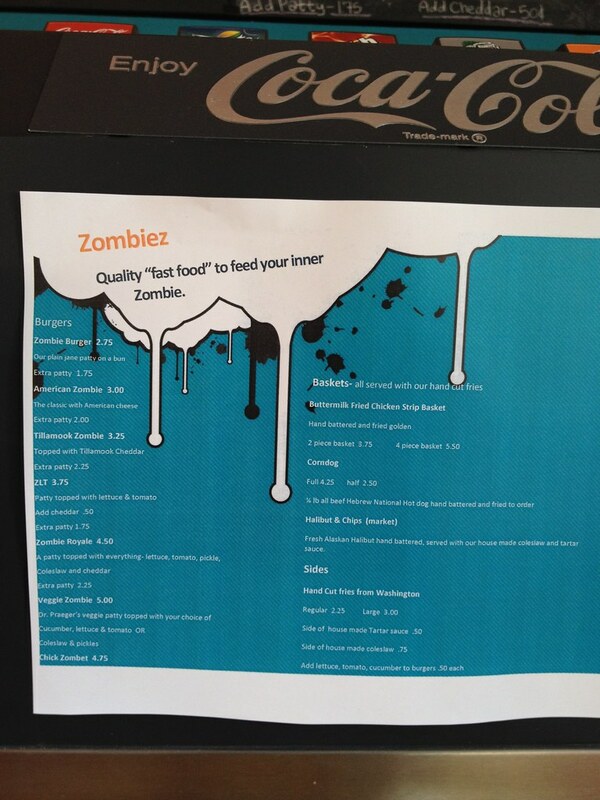 The service is stellar, the fast food is really “slow food” and the new menu has a ZLT, Zombie burgers and more. 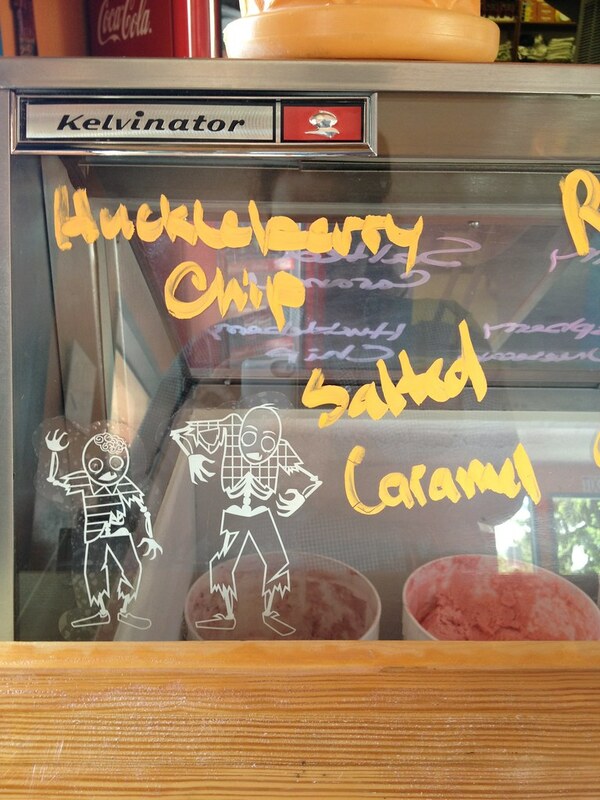 Most importantly (to me), I was still able to get my fried clams. 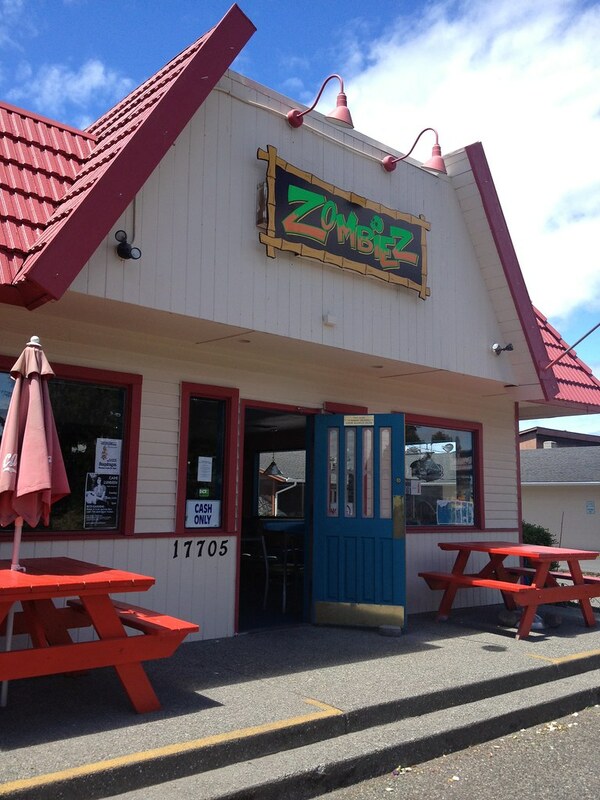 Zombiez is located at 17705 Vashon Hwy SW in Vashon, Washington and is a cash only establishment.